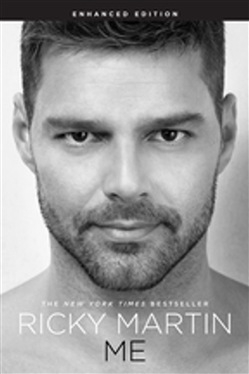 International superstar, Ricky Martin, who has sold more than 60 million albums worldwide, opens up for the first time about memories of his early childhood, experiences in the famed boy band Menudo, struggles with his identity during the Livin' la Vida Loca phenomenon, reflections on coming to terms with his sexuality, relationships that allowed him to embrace love, and life-changing decisions like devoting himself to helping children around the world and becoming a father. Me is an intimate memoir about the very liberating and spiritual journey of one of the most iconic pop-stars of our time. Acquista Me in Epub: dopo aver letto l’ebook Me di Ricky Martin ti invitiamo a lasciarci una Recensione qui sotto: sarà utile agli utenti che non abbiano ancora letto questo libro e che vogliano avere delle opinioni altrui. L’opinione su di un libro è molto soggettiva e per questo leggere eventuali recensioni negative non ci dovrà frenare dall’acquisto, anzi dovrà spingerci ad acquistare il libro in fretta per poter dire la nostra ed eventualmente smentire quanto commentato da altri, contribuendo ad arricchire più possibile i commenti e dare sempre più spunti di confronto al pubblico online.